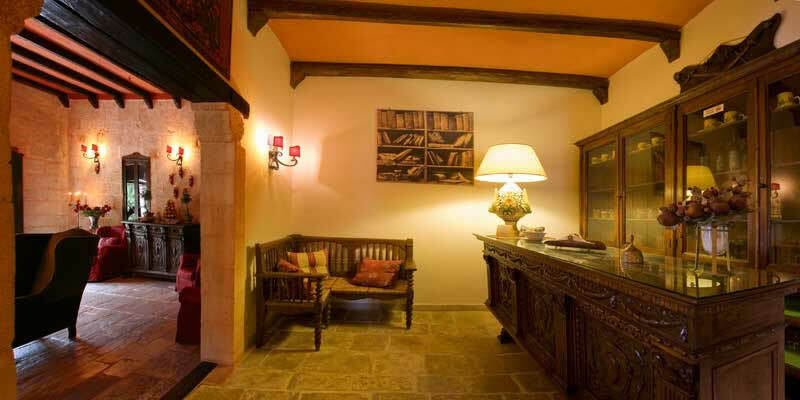 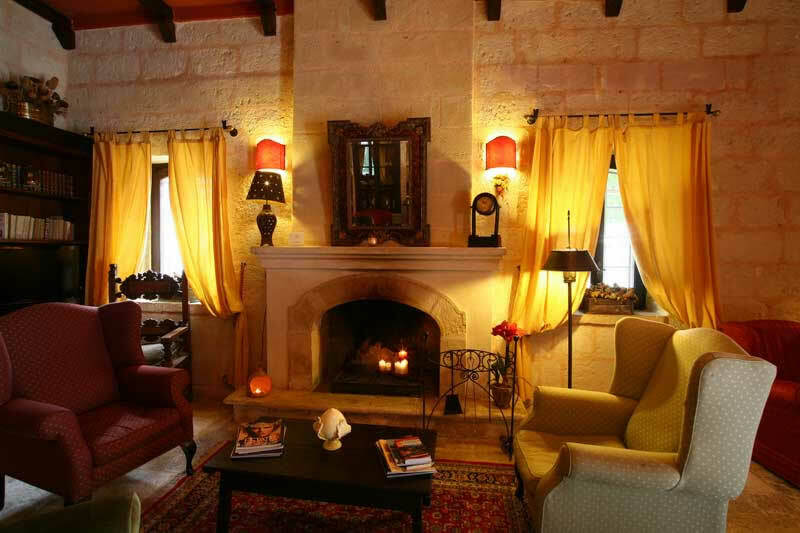 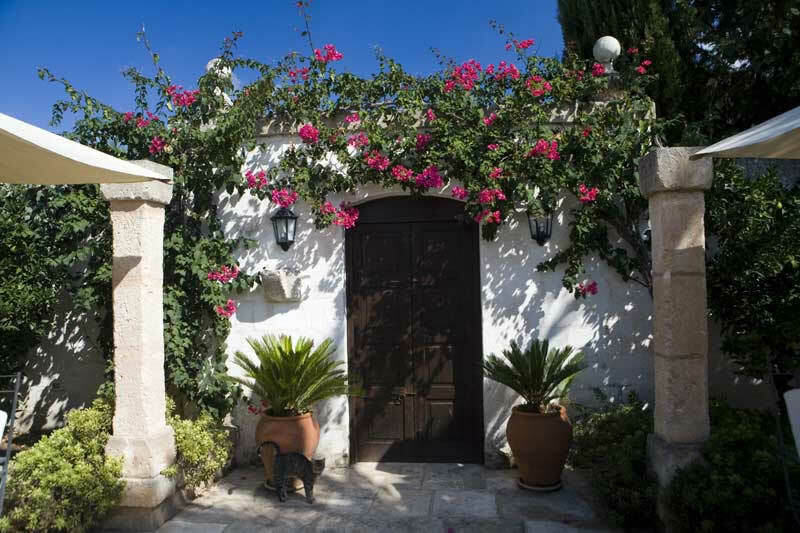 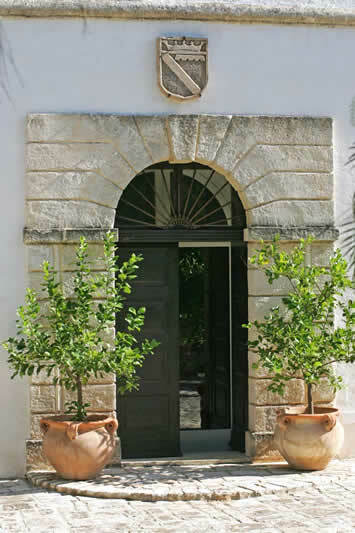 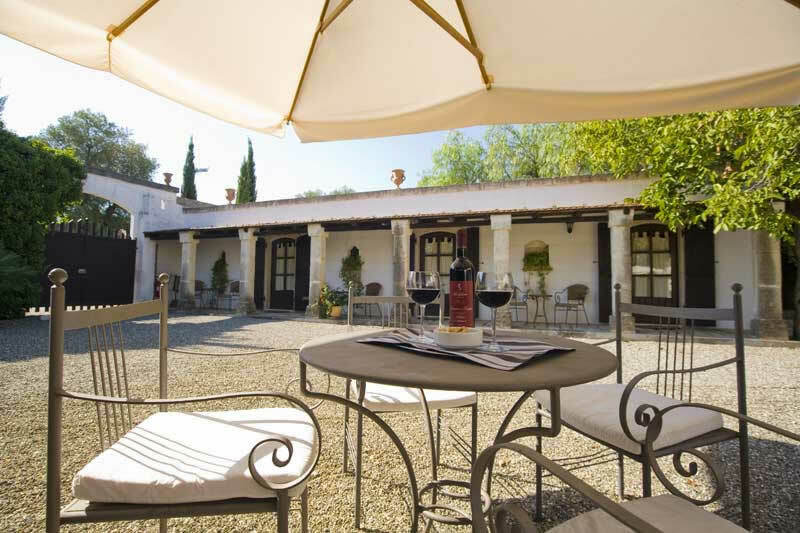 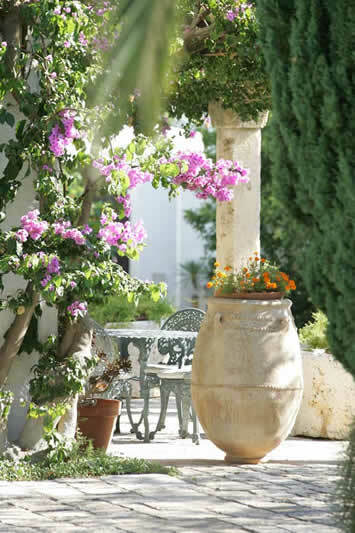 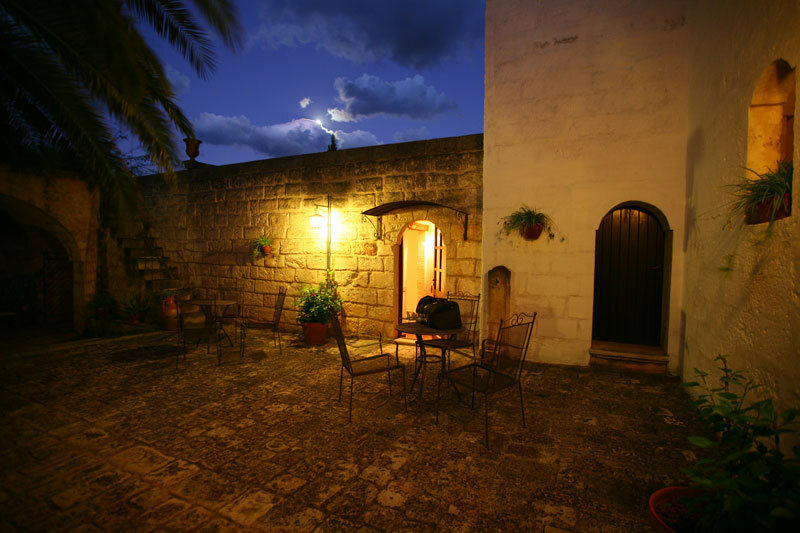 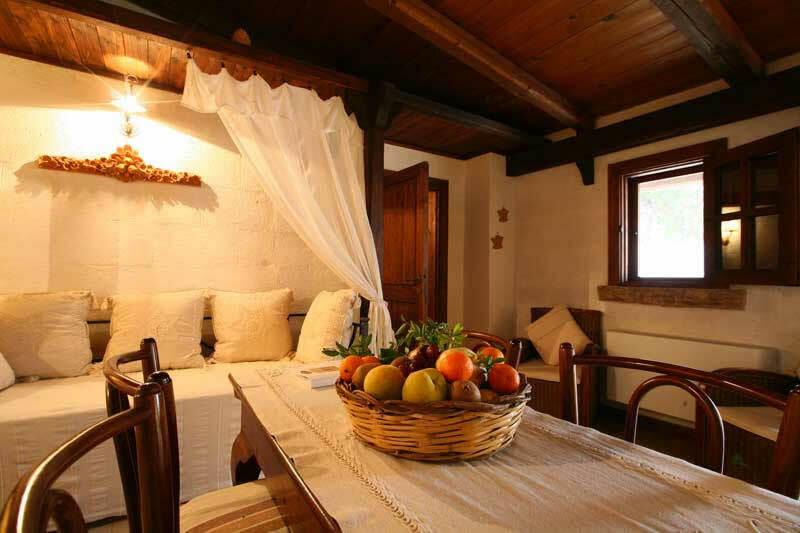 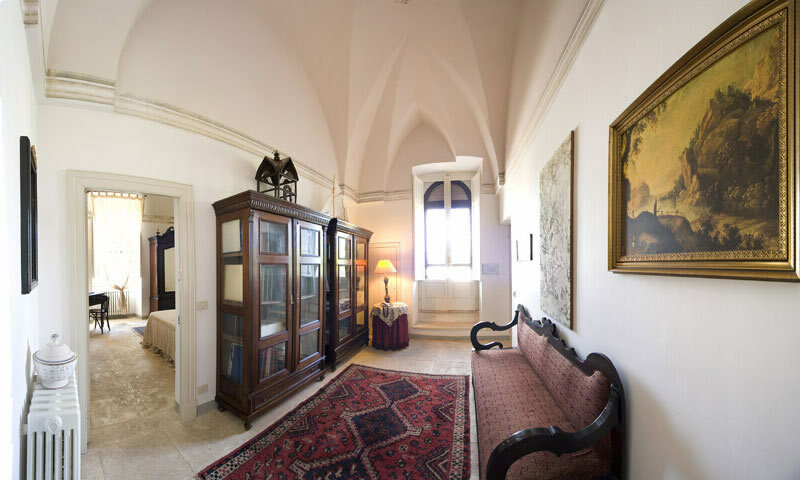 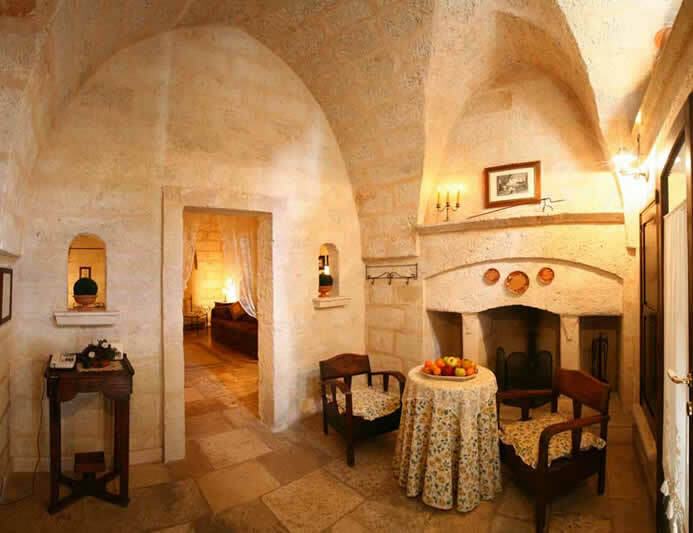 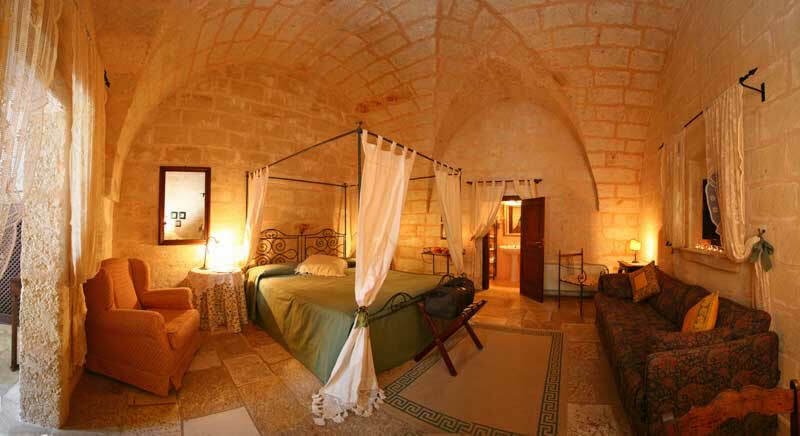 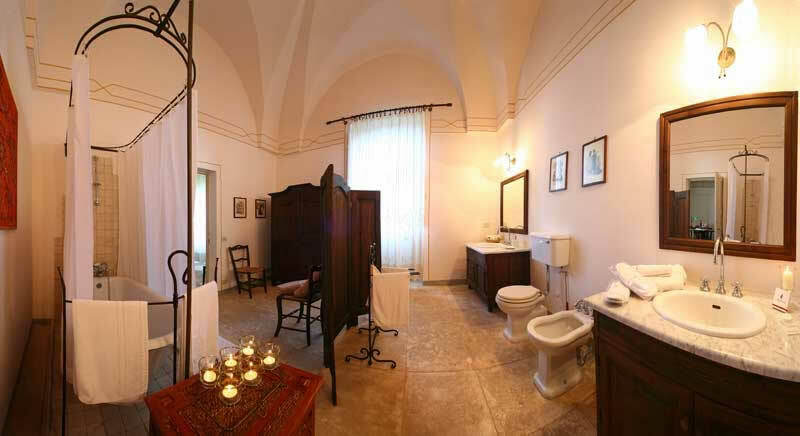 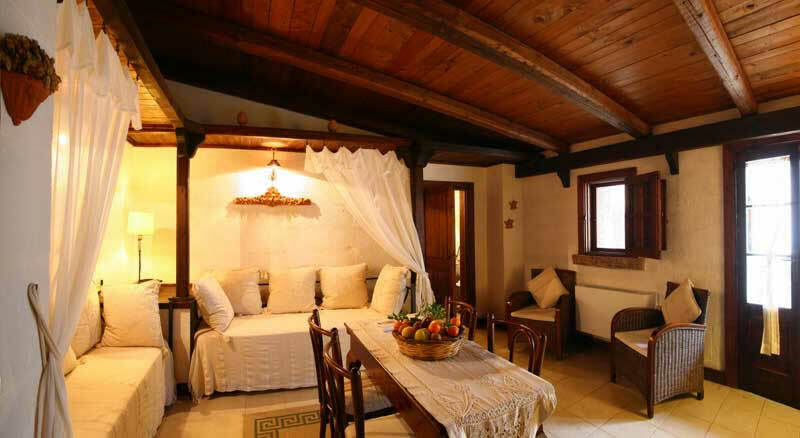 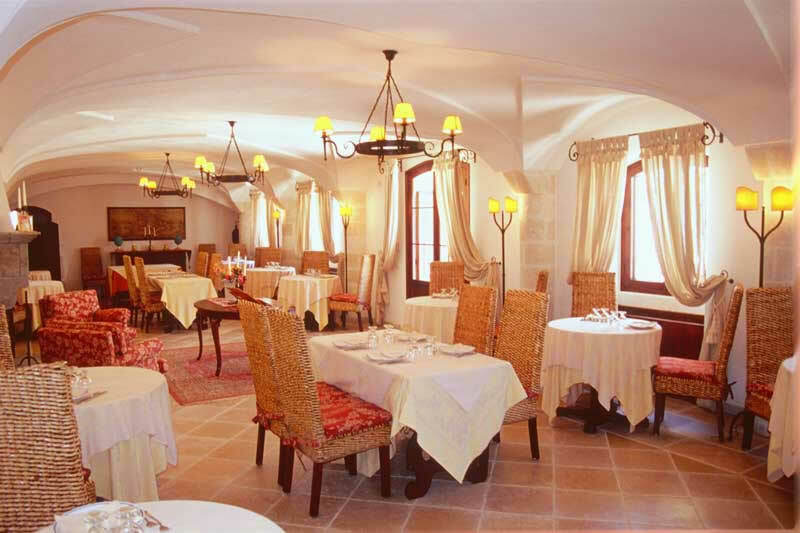 Masseria Marzalossa is a historic and charming hotel dating back to the 17th century. 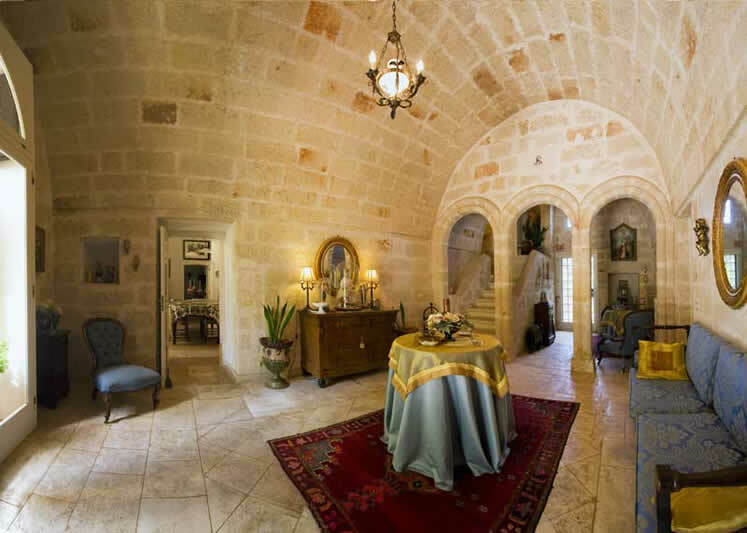 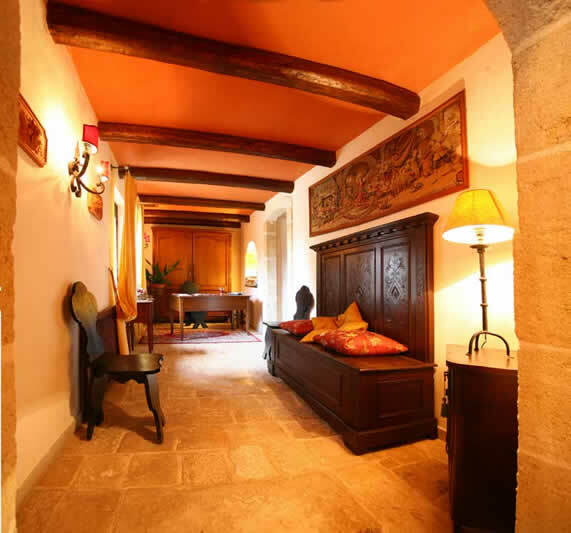 The farmhouse restoration has preserved its original features, such has stone vaults, floors, arches and walls, which are combined with fine antiques. 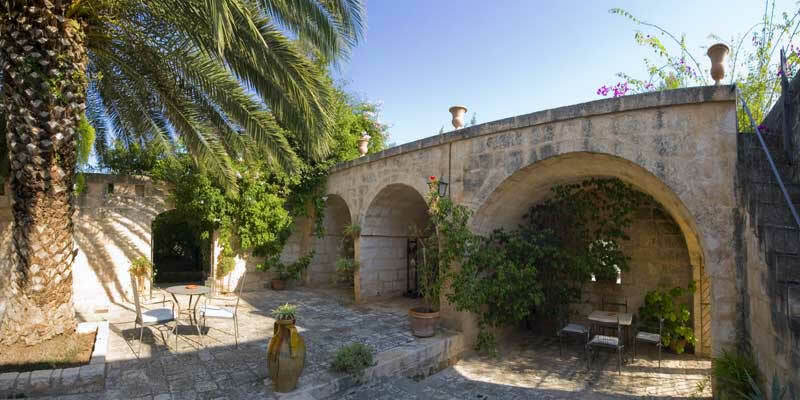 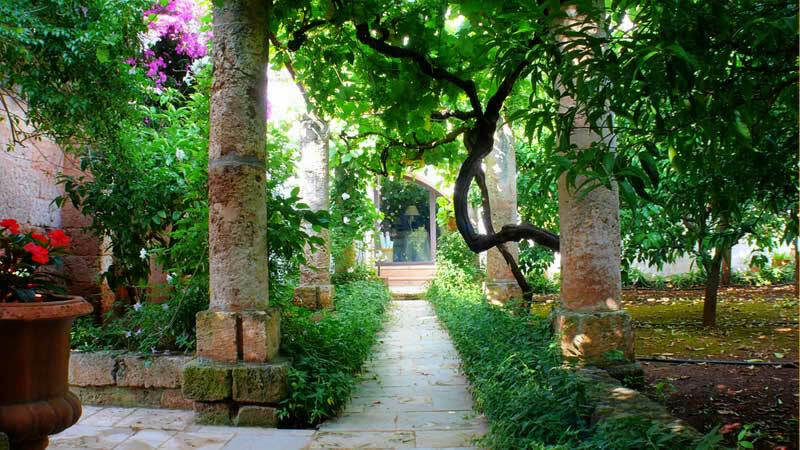 In the past, the farmhouse was used by religious communities for meditation and prayer, together with farming. 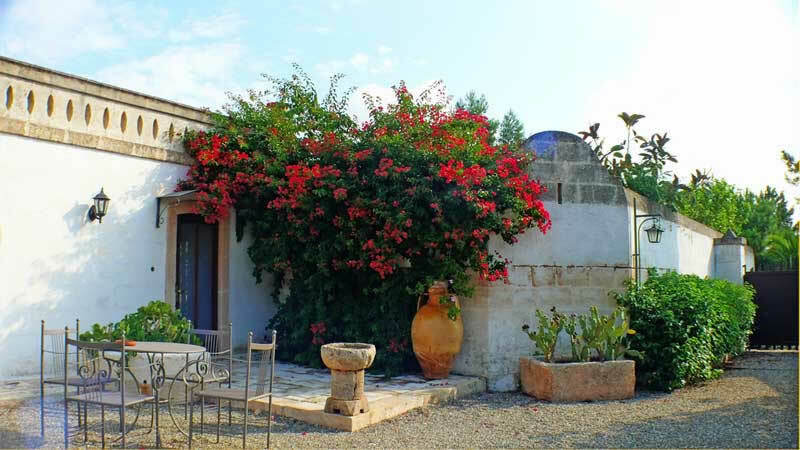 At present, Masseria Marzalossa still produces a high-quality olive oil from the surrounding olive trees, and other organic products, including wine, liquors, pickles, vegetables and jam, fruit, almond sweets and cakes served at breakfast. 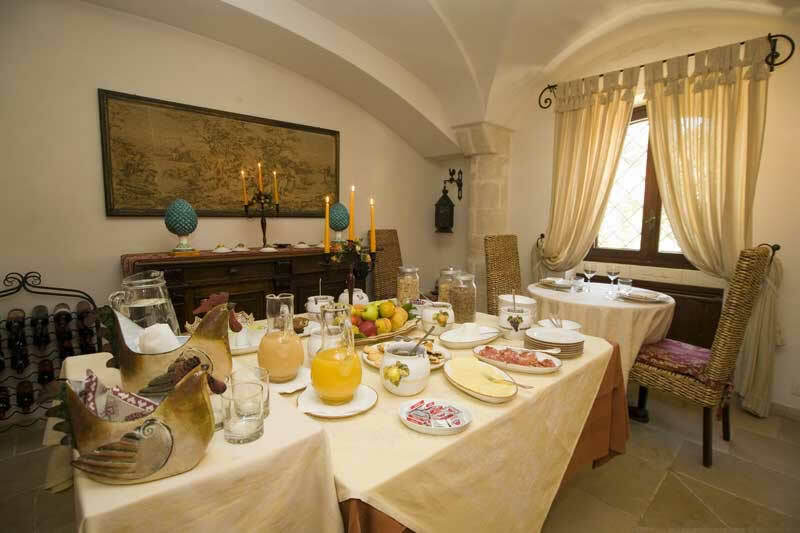 The restaurant is for the exclusive use of the hotel guests and serves traditional recipes prepared with the farm products. 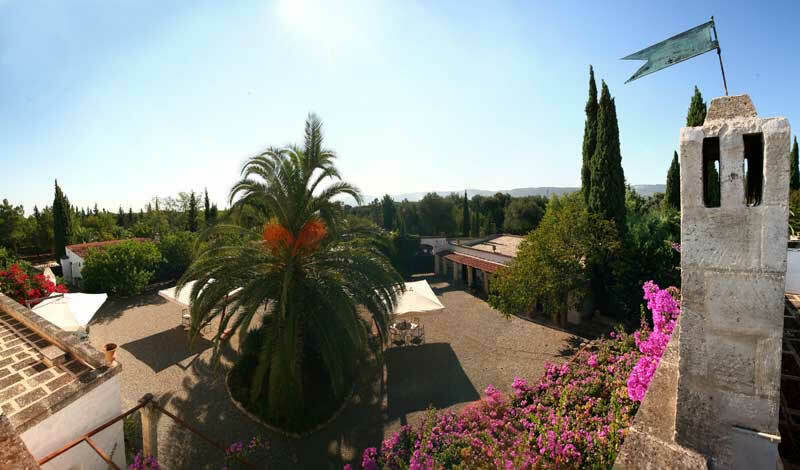 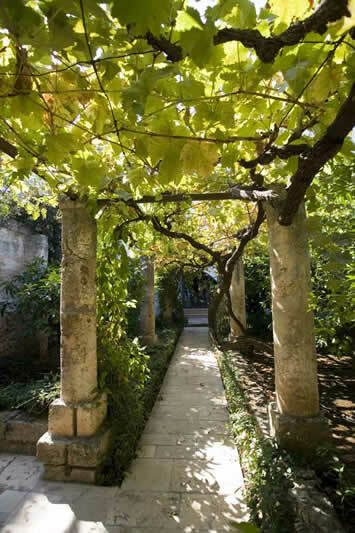 The citrus grove beside the main building surrounds an elegant swimming pool and its solarium. 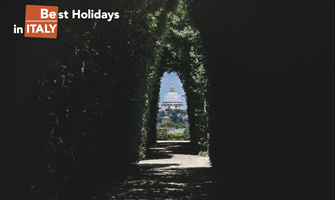 It´s also possible to request bicycles, a boat and a minibus transfer to the airport or nearby destinations. 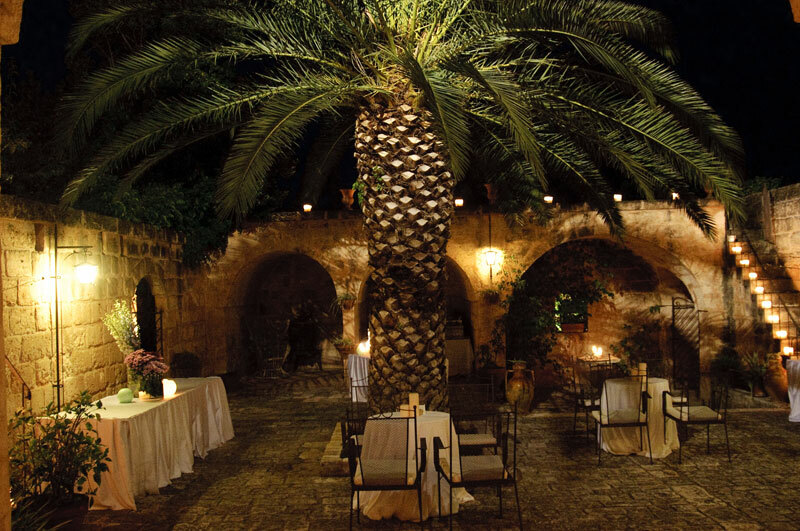 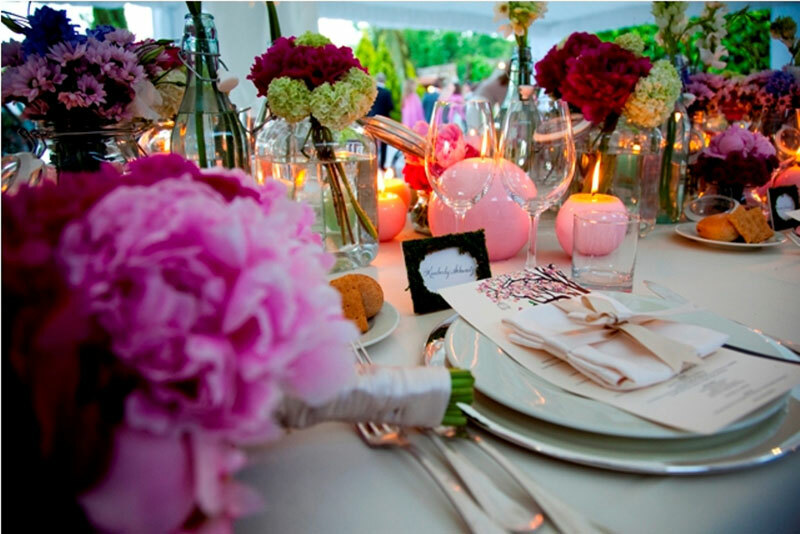 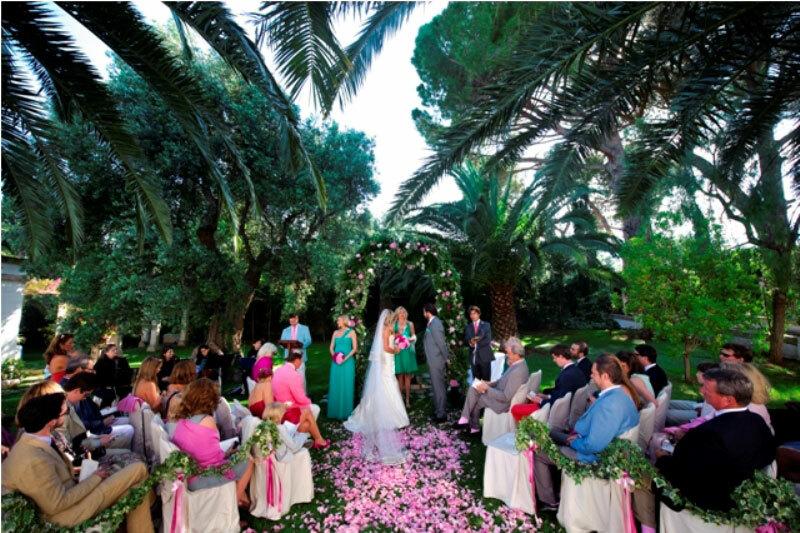 For about 20 years, Mrs. Maria Teresa has managed the family estate with passion and professionalism, by taking care of her guests and their requirements, organizing daily menus and cookery courses on request, to guarantee a luxury and cosy stay in this unique location. 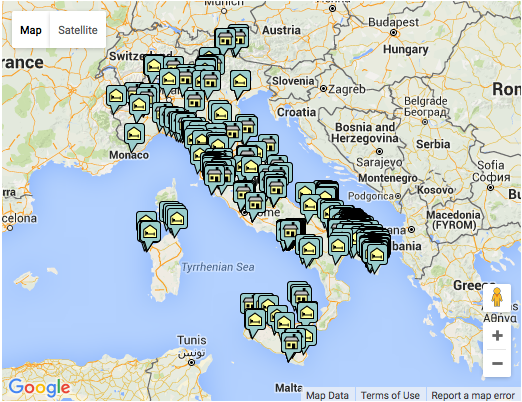 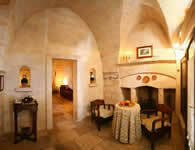 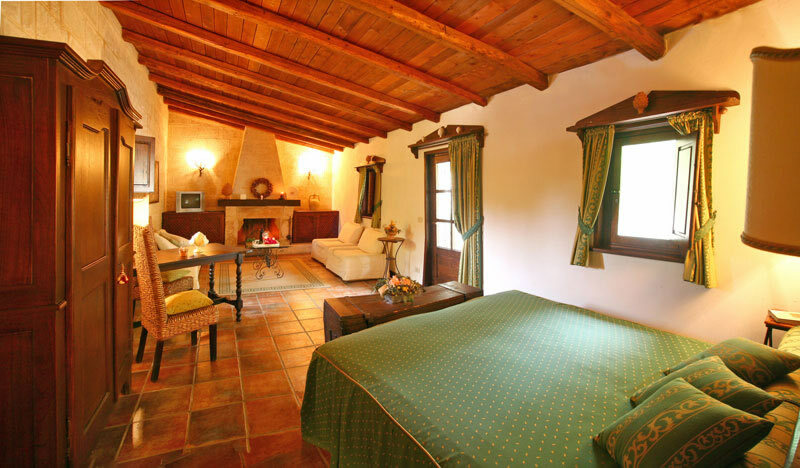 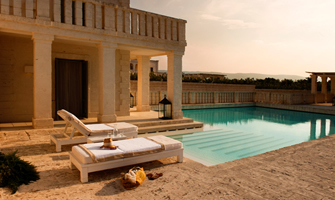 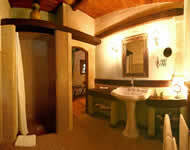 Masseria Marzalossa has 12 rooms: 4 double classic, 3 superior, 4 junior suites and 1 suite deluxe. 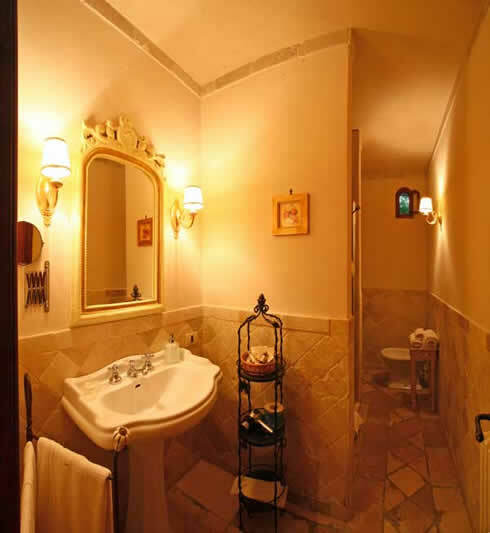 Each room is characterised by its own style and offers private bathroom, hair dryer, minibar, TV, safe and air conditioning. 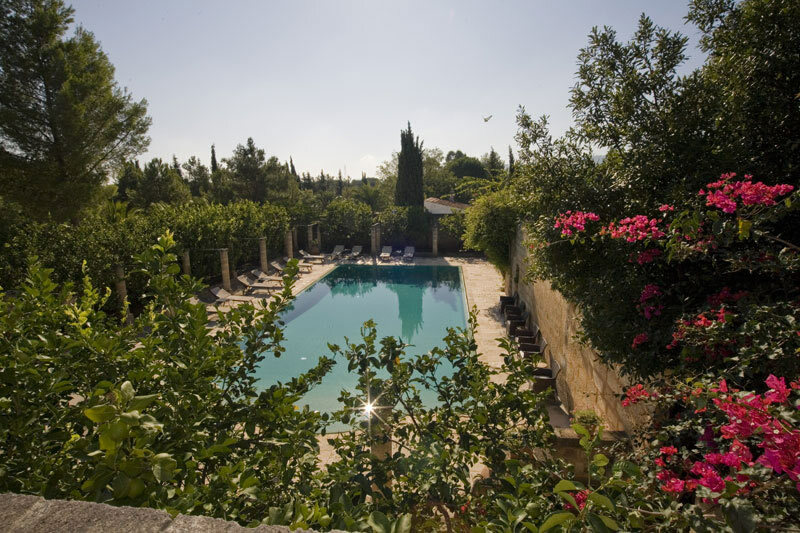 Three of the classic rooms have a private garden, while one of them overlooks the swimming pool. 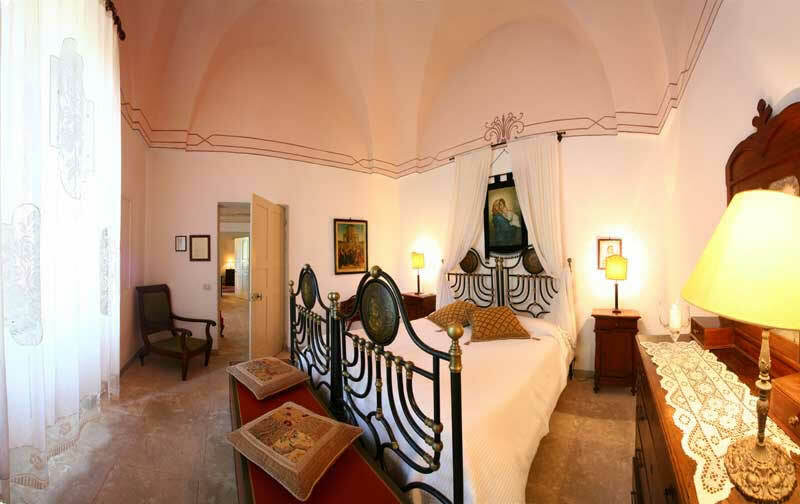 Two superior rooms can accommodate an extra bed and two junior suite are suitable for 4 people. The suite deluxe is for 4 people and includes entrance hall, bedrooms, sitting room, bathroom, balcony and terrace. 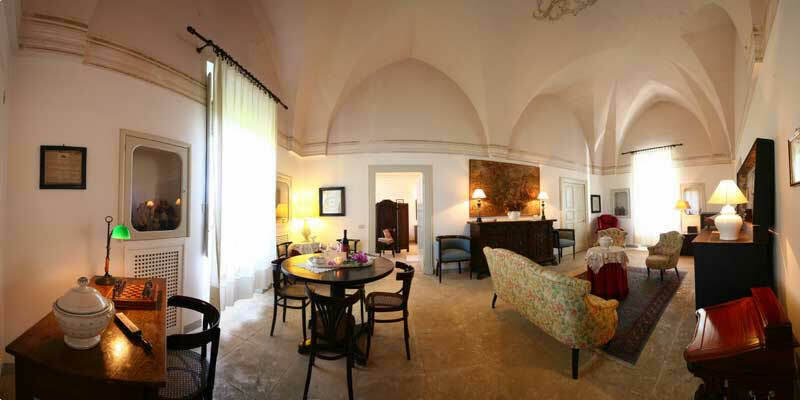 a romantic dinner by candle and Italian sparkling wine.